There are sometimes in a designer’s life that we can’t wait to see the end result – the finished flower girl dress. When our seamstresses brought this order over to our design studio room, we just had to photograph them! These dresses were no exception. Our bride gave us her inspiration (more on that in a later post) and we were so excited to get going on the dresses. All together, there were 10 little girls ranging in sizes from 14 months to a girl aged 13. We made the sleeves in our 3/4 length because of religious concerns. Each of the coral flower girl dresses were done in different shades of coral and pink like gum drop, sherbert, icing, coral rose, melon, watermelon and so much more. Degas inspired tulle flower girl dress Style 402 from our Pegeen Couture Flower Girl Dress collection – each in varied shades of pinks, corals, sherberts and gumdrop with our Noelle Rose on the back. The skirt was done in multiple shades of corals, oranges and peaches with one layer of pink. I really love it when a bride chooses a ring bearer for their wedding, being a mom of only boys (sigh). I was particularly happy when I saw how beautiful they all looked! 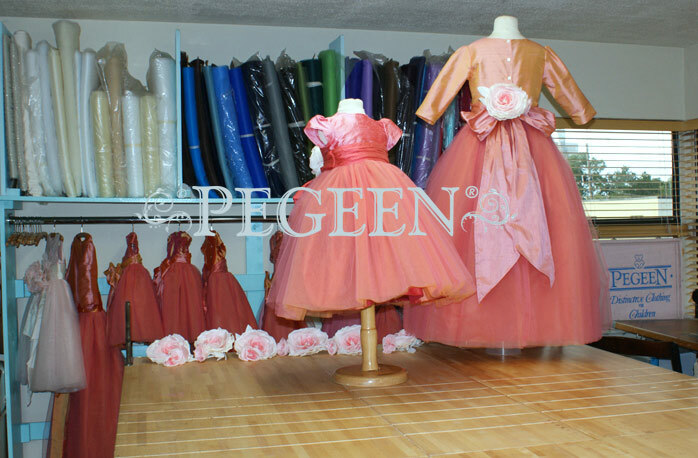 The customer choose Pegeen Couture style 402 for her flower girl dresses and for the ring bearer suit, she choose style 509, also from the same collection. Her colors were navy, wisteria and bisque. Yummy eye candy for your favorite flower girl with a matching dress for her doll! Our latest flower girl dress of the week – for more visit our website. All of our dresses and suits are made in our own U.S. Factory located in Orlando, FL. 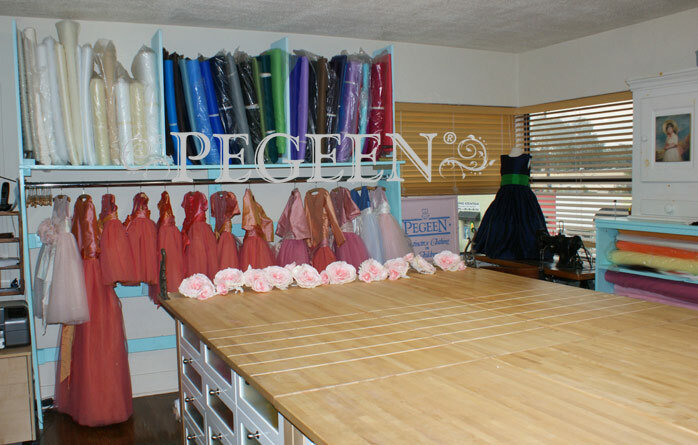 Pegeen manufactures and designs over 85 styles in 200 colors and each are available in any color and any size. For more personal creations see our custom page. No Deposit Required - in howtoplayslotsgame.com .